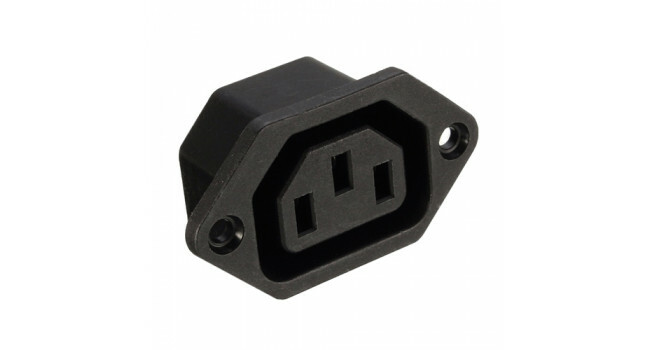 The C14 Connector is a 10A AC Panel mount connector rated at 250V. 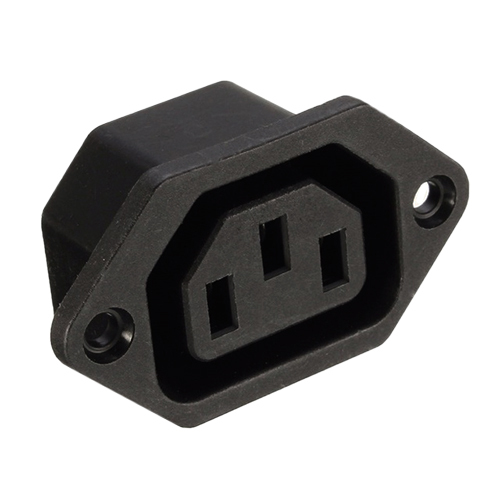 Suitable for many mains power input applications. Toggle Switch 3 Pin Splash Proof (4 Pack) The MTS-103 is a single-pole, double-throw (SPDT) toggle switch and comes with a splash proof sleeve, which makes it great for environments that is not so ..
Mini D1 Relay Shield You can use this module if you want to control the AC power (lights, home equipments), for WIFI D1 mini board. This is a very common Contact Relay for control VAC 110/220V (10A) .. LED Holder 5mm - Concave (5 Pack) These LED Holders are a great way to add LEDs to your project without worrying about how you will mount them. Quick Spec 5mm LED Holder Chrome Co..
Rocker Switch 240V 15A - Green The Rocker Switch (KCD3-101N) - on off - is a medium size rocker switch which offers a high switching current in a compact design. It is a snap-in mounted rocker switch..